Victoria Falls, on the Caribbean island of Dominica. It’s hard to believe him: Outside the windows is a blur of lush jungle. “You can still see the sticks but they are sprouting vigorously,” he continues. Looking closer, I do see the stocky trunks all topped with an eruption of green leaves. Foliage also carpets the ground. Still it’s hard to believe: How could this much vegetation grow back in one year? On Sept. 18, 2017, Hurricane Maria roared across this tiny Caribbean island, with Category 5-strength winds up to 281 km/h. In the hours after the storm made landfall, Prime Minister Roosevelt Skerrit described the scene as “devastating.” It was the deadliest storm to hit Dominica in more than 180 years: Sixty-five people were killed, nearly all structures were damaged, flooding and landslides rendered portions of the coastlines – including cities – uninhabitable. One year on, that devastation is apparent only as our van whips past half-built new homes, rum shops and businesses. My own arrival was pushed back by Tropical Storm Kirk and I get the sense that these ferocious meteorological events are a fact of life here. There will be delays, there might be damage, but life goes on. In the meantime, the green, mountainous island hopes to attract more of the thousands of tourists who flock to nearby islands each winter. Low-key Dominica – which bills itself as the Nature Island – isn’t for everyone, but the more I learn about how much there is to do, the more surprised I am that it isn’t top of mind for more adventurous Caribbean travellers. “Most people don’t even know about Dominica until they see it on their cruise itinerary,” acknowledges Lise Cuffy, a marketing executive with the Discover Dominica Authority. “We get as many as two ships per day during season,” she replies when I ask whether cruises make port here as I’ve never heard of any routes. Apparently most people haven’t either. I fly into Dominica after waiting out Kirk’s lashing winds and torrential downpour on nearby Barbados. With my itinerary truncated, I’m ready to pack as much in as possible, following Beno’s expert advice. Beno, whose real name is Augustine Pascal, has been operating as a tour guide and driver on Dominica for nearly 20 years. He’s seen the ups and downs of development on the island – and the waning and waxing of tourism interest in his homeland. An ambitious hike and climb leads to the 61-metre-high Middleham Falls. We start exploring with an ambitious hike to Middleham Falls in the interior. The 2.4-kilometre route makes up part of the 184-kilometre Waitukubuli National Trail, which traverses the island from south to north in 14 distinct segments. It turns out the trail is more ambitious than I’m ready for, though fellow hikers in my group enjoy the rugged walk and light bouldering required to reach the 61-metre high falls. “This is what Dominica is; it’s about the interior,” Beno says when we all get back to the van looking a bit worse for wear. Fortunately, hiking isn’t the only option for inland exploration. River floating (on large inflatable tubes), canyoning (no prior rappelling experience required) and soaking in volcanic hot springs are all popular ways to pass a day. These activities can range from leisurely to adventurous depending on how much work you want to put in. On a relaxing float down the Indian River near the northern city of Portsmouth, our captain points out filming locations from the Pirates of the Caribbean franchise along with huge ghost crabs among the palms and mangroves that line the banks. It’s essentially the ultimate lazy river ride. The island offers an array of scuba diving sites. 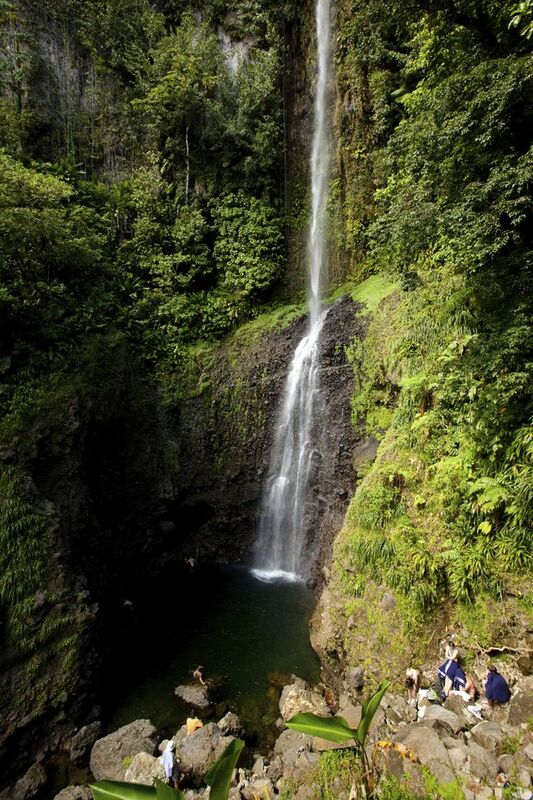 Dominica’s coast offers plenty to do as well. 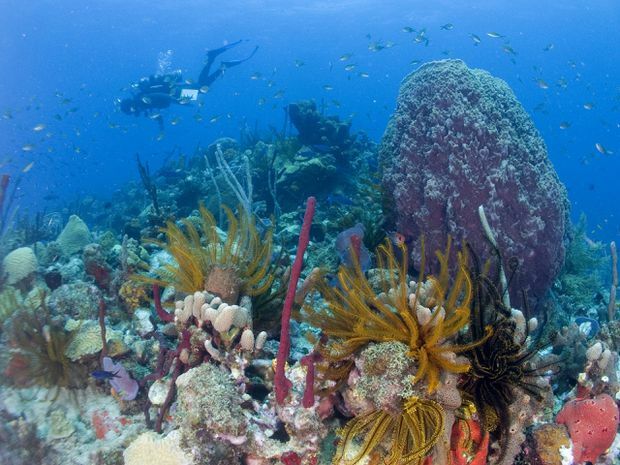 Scuba diving is popular, with myriad spots to choose from. Stretching the length of the island’s west side are sites for beginner- to advanced-level divers. Turtles, rays and seahorses are seen regularly near the reefs, wrecks, caves and lava chutes that form the underwater ecosystem around volcanic Dominica. Whale watching is also an option for non-divers, as 10 different species have been spotted in the area. Beaches such as Batibou Beach, pictured here, are popular with tourists. Of course, this being the Caribbean, beaches are also popular – with a caveat. “Our beaches are not like all the other beaches. We are unique because of our volcanic nature. We have black sand beaches,” Beno explains when I ask about tourist hot spots. 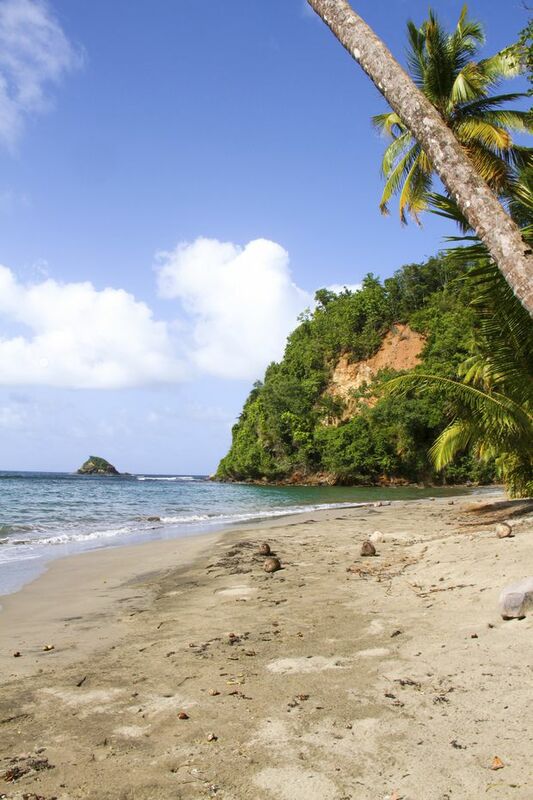 This dark sand is notoriously hot on bright days, so sunbathing is one of the least common activities on Dominica. Still, visitors “are bent on wanting to do one of the beaches,” Beno says. 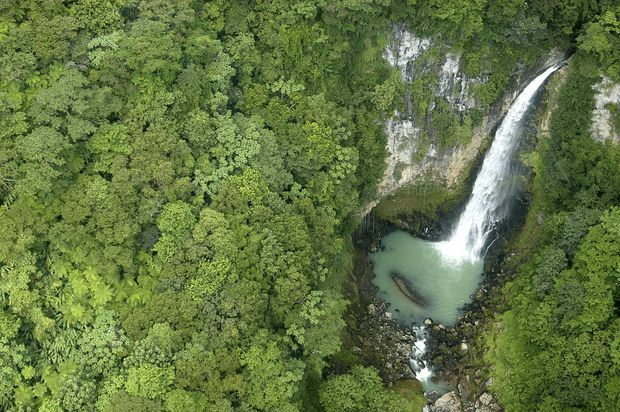 "So why not do a combination with the natural sites?” This might include horseback riding on the beach – or even in the water – before heading to the rain forest. Here, the wild jungle is a prominent feature no matter what activity you choose. But two new hotels will give travellers the option of a more traditional island escape. In 2019, both the Cabrits Resort Kempinski Dominica and the Anchi Resort and Spa, an Autograph Collection Hotel, are planned to open in the city of Portsmouth. These will be the first two international brands to develop properties on the island; right now, much of the accommodation is small guesthouses and rustic eco retreats. “There are not many hotels because people never really payed attention to tourism and travellers,” Beno explains. More than two dozen cruise companies make port in Dominica’s three ship terminals (Roseau, Woodbridge Bay and Cabrits near Portsmouth), including large ship cruise companies such as Carnival Cruise Line, Holland America Line, Norwegian Cruise Line and Royal Caribbean. International flights typically pass through other islands (including Barbados) to reach Dominica. LIAT airlines is the most common airline for island-hopping in the region; other regional airlines include Air Antilles, Winair and Seaborne Airlines. 42 of the 71 rooms at the Fort Young Hotel are available as it undergoes post-hurricane renovations. Fort Young Hotel in Roseau is one of the island’s top properties. It is undergoing post-hurricane renovation and currently has 42 of its 71 rooms available (from US$193 in low season). On the wild Atlantic coast, Pagua Bay House offers a six-cabana boutique hotel with a restaurant and pool area (from US$210 in low season). In 2019, both Kempinski and Marriott are expected to open spa resorts. The writer’s travel was partly subsidized by Discover Dominica. It did not review or approve this article.